I was a music major in college and voice was my specialty. I cringe, most of the time, today when I hear the way most groups destroy my favorite Christmas music songs. But that is definitely not the case for this stunning version of Carol of the Bells. This rendition is sung by the group Pentatonix, a 5 member group with four males and one female singer. The lead singer has the most fabulous tone to his voice and their combination of voices together make for a stunning sound. I have only recently discovered this group and I am not the only one who loves them. 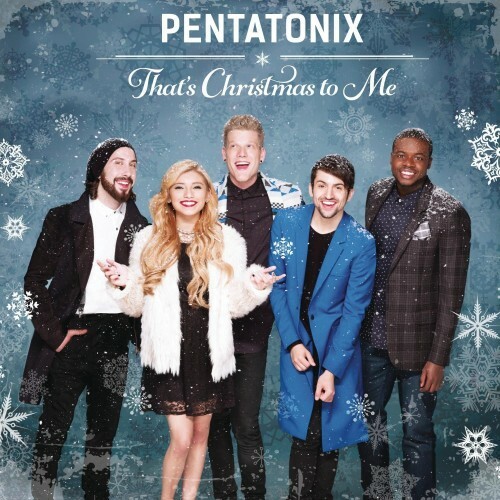 According to their website, the vocal quintet Pentatonix are celebrating the holiday season with their latest release – That’s Christmas To Me – which debuted #9 on Billboard’s Top 200 chart and is currently #1 on its Holiday Chart.